The Dominican Republic announced today the establishment of diplomatic relations with the People's Republic of China, which implies the dissolution of diplomatic relations with Taiwan. The legal advisor of the Executive Power, Flavio Darío Espinal informed in this respect in a press conference where he read a statement making the announcement. According to him, Dominican Foreign Minister Miguel Vargas and the Administrative Minister of the Presidency José Ramón Peralta are currently in Beijing to sign a joint document, establishing diplomatic relations between both governments. "For our part, the decision to take this step has been widely considered and consulted with broad political and economic sectors of the country, taking into account mainly the needs, potential and future prospects for the Dominican people," reads the statement. Also, the text argues that "China is today the second global economy and its manufacturing and export base is world leader." For years, the Dominican productive sectors have requested a greater diplomatic, commercial and economic approach with the People's Republic of China, a State which alone represents 20% of the world population, with more than 1,300 million inhabitants. Espinal pointed out that, "even in the absence of diplomatic relations, bilateral trade between our two nations has grown year after year to the point that today China is the second largest supplier of our imports." With an annual trade exchange of around $ 2 billion dollars, "our country is the second trading partner for China in the Caribbean zone and Central America" and with the establishment of diplomatic relations "the growth potential of our commercial ties is immense." In the following months and years, enormous opportunities for cooperation will gradually open up, not only in the commercial area, but also in the financial, technological, tourist, educational or energy fields. 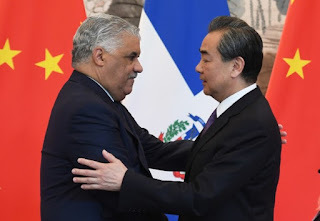 For its part, Taiwan broke diplomatic ties with the Dominican Republic, after the announcement of the Caribbean country in Beijing, the establishment of relations with China and the cessation of relations with Taiwan. The Foreign Minister of Taiwan, Joseph Wu, immediately announced, at a press conference, the breaking of ties "to preserve national dignity" and the "immediate suspension of all cooperation and aid projects." Dominican Republic Foreign Minister Miguel Vargas said the Dominican government adheres to the principle of "one China" starting today and recognizes that Taiwan is part of that country. With this rupture, Taiwan is left with only 19 diplomatic allies, ten of them in Latin America and the Caribbean, which remains the area with the most diplomatic support for the island. The Dominican Republic, a country of 10 million people, whose economy depends largely on agriculture and tourism, thanked Taipei for the cooperation that has been maintained for years, which allowed the development of numerous programs. This Latin American country established diplomatic relations with Taiwan (officially the Republic of China) in 1944. Official relations between the Central Government of China and Taiwan were suspended in 1949, after the forces of the Chinese Nationalist Party Kuomintang, led by Chiang Kai-shek, suffered a defeat in the civil war against the Communist Party of China and moved to Taiwan. Informal contacts between Taiwan and mainland China resumed in the late 1980s. 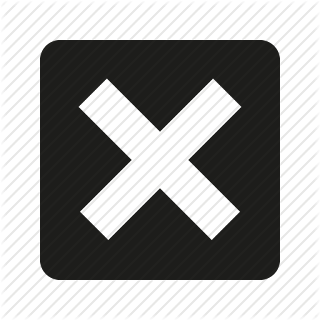 Contacts began in the early 1990s through non-governmental organizations such as the Association for Cross-Strait Relations in Taiwan, based in Beijing.